3. 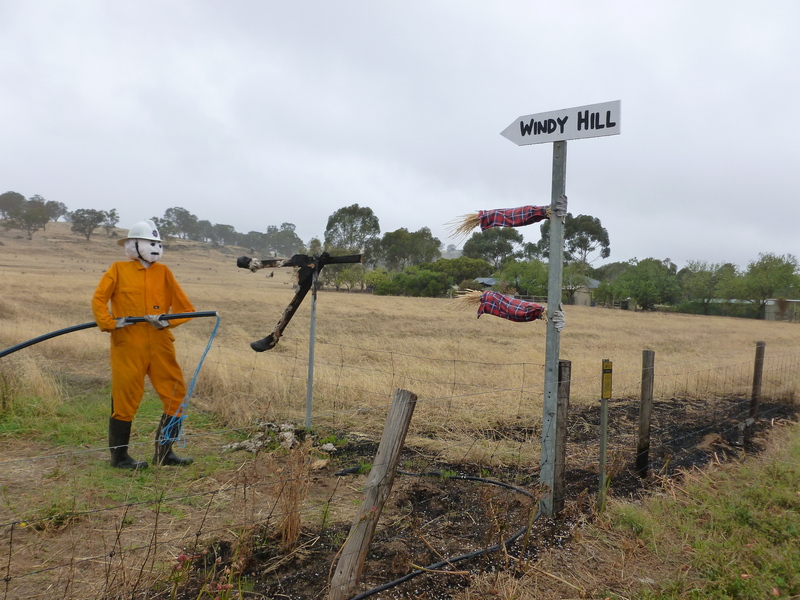 Scarecrow Hunting: It started with a map, a car and a camera and ended after an awesome journey around the Barossa Valley. 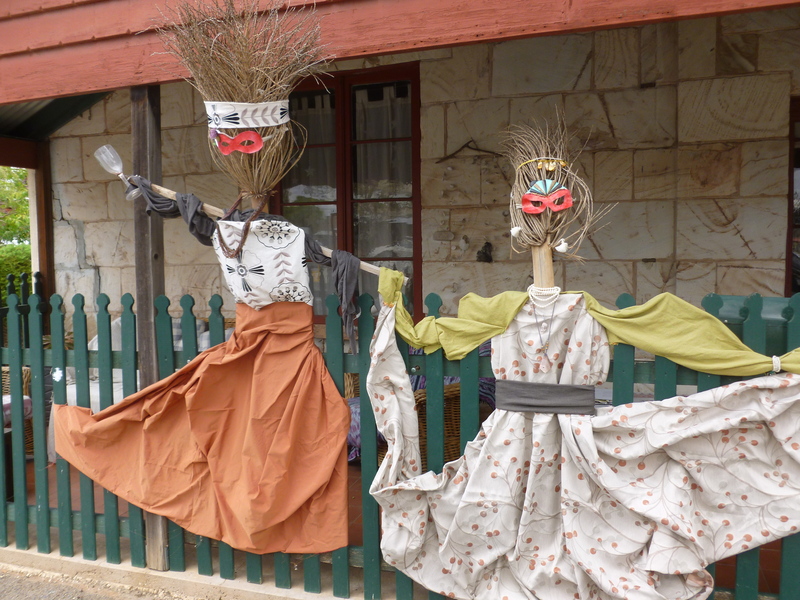 The scarecrows appear as part of the biannual event, the Barossa Vintage Festival, which is the longest running wine festival in Australia. 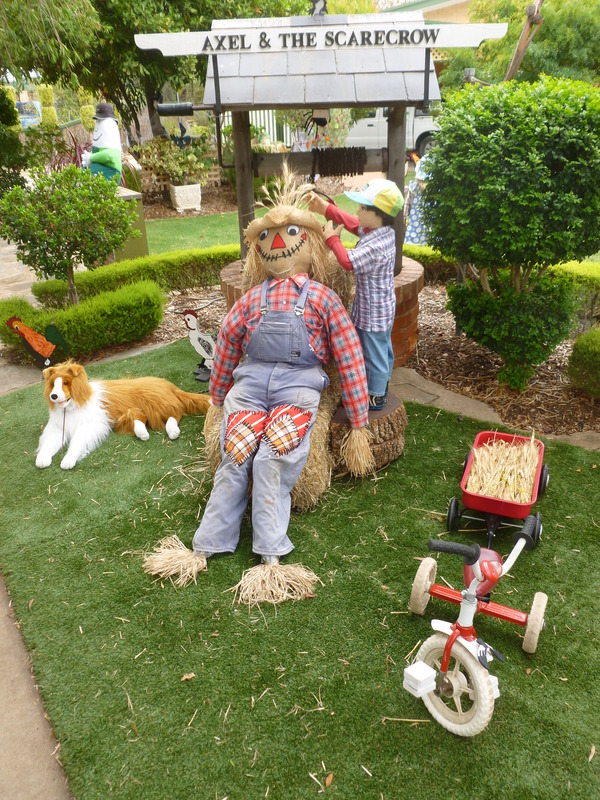 The scarecrows are made by the community, school groups, families and businesses. They can be found in shop windows, farm paddocks, along the streetscape and household front gardens. Here are a couple of my favourites. I left the scarecrow hunt with grand plans to make my own scarecrow to watch over my vegetable garden. Stay tuned for photos. 4. 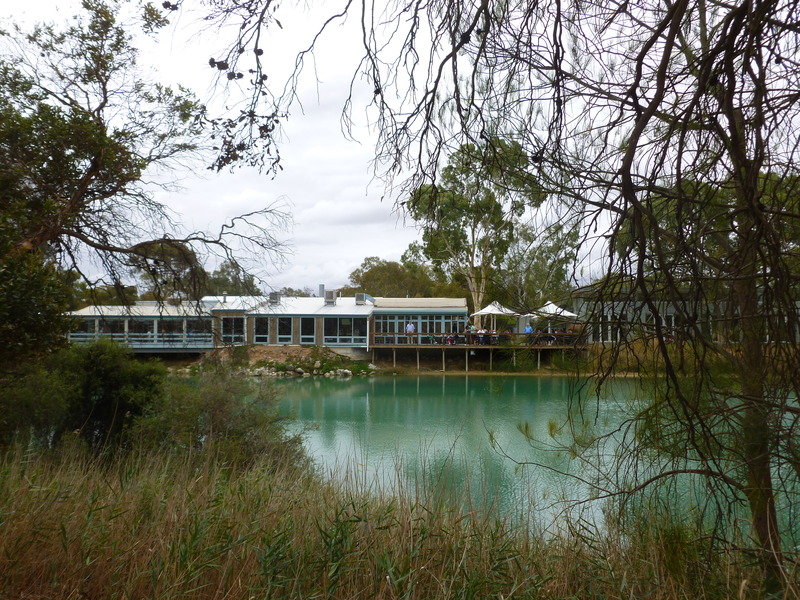 Maggie Beer’s Farm Shop: I love food. I enjoy growing my own produce and making delicious food using whatever is in season. Maggie Beer is one of my inspirations. I didn’t know what to expect from my visit, but from the moment we arrived I was overwhelmed by the warmth and hospitality. My visit to Maggie Beer’s Farm Shop can only be described as magical. We strolled around the gardens, doing the nature walk and the farm walk and enjoyed watching the birds. 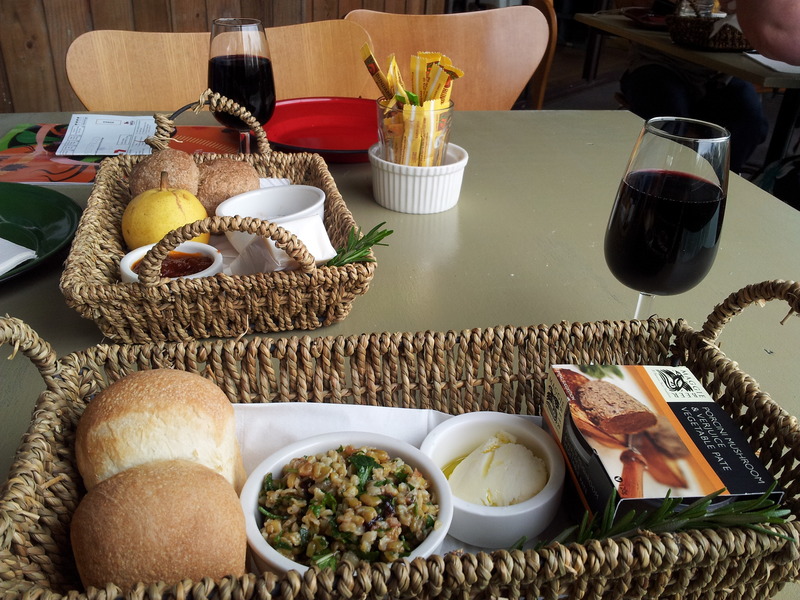 We stayed for lunch and selected from the picnic style menu while enjoying a delicious wine. It was a wonderful relaxed concept. Our food arrived in actual baskets and we ate with our hands. If the weather was better, it would have been perfect to sit on the lawn areas outside. After picking up a few of Maggie’s goodies for the pantry we departed. If you are ever in the vicinity, I would highly recommend a visit. This entry was posted in New things and tagged adventure, Barosss Valley, exciting, fun, gap year, lifestyle, Maggie Beer, New things, Scarecrow by curlieclips. Bookmark the permalink.